Thanksgiving is Thursday, November 22! In preparation for this national holiday, we will be reading books about the first Thanksgiving celebration and completing other themed activities in our classroom. I know this is a very busy travel weekend for many families; if your child will be missing any school days please contact me as soon as possible so that I may gather work to be sent home. There are no classes Wednesday, November 21 – Friday, November 23rd. There will be no school on Monday, November 12th in honor of Veterans Day. Veterans Day is a day to thank our veterans for dedicated and loyal service to their country. We thank all our veterans for the sacrifices they have made in their lives to keep our country free. Check out the “Explore Chicago” link on the sidebar to find local events honoring our nation’s veterans this weekend. Also, a reminder that Report Card Pick Up is Wednesday, November 14th. There will be no classes for students this day. More information will be sent home in backpack mail. The Student Awards Assembly will be Monday, November 19, 2018. Invitations will be sent home in backpack mail. I’m looking forward to meeting with you to discuss your child’s progress in first grade. Please sign-in on the clipboard outside of room 104 on the day of conferences. 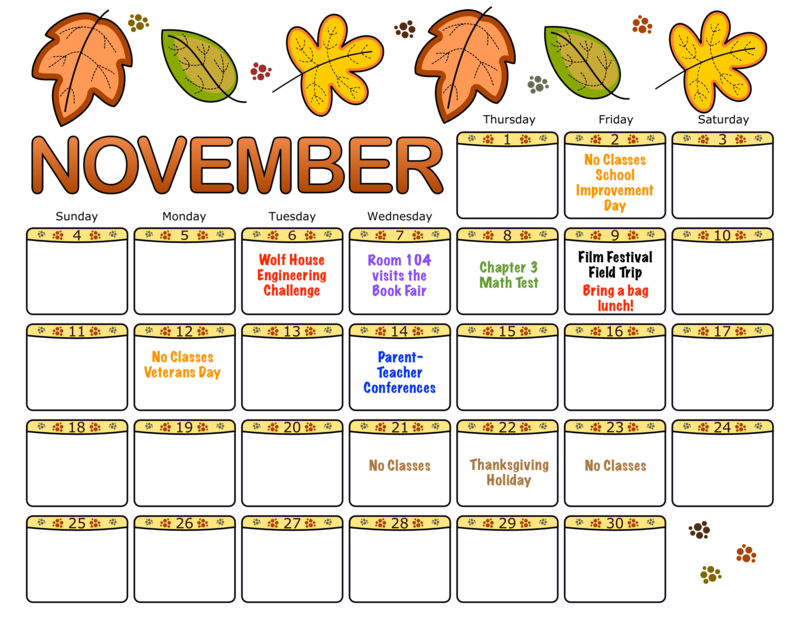 Parents are invited to visit homeroom and reading teachers. Facilities teachers will also be available in their classroom for conferences. Arrive early and visit our school spirit wear tables, book fair, and hall displays! There are no classes for students this Friday, November 2, 2018. This is a CPS School Improvement day. Have a great long weekend! The first-grade pod will be viewing several short films at the International Children’s Film Festival. Permission slips and fees need to be returned by Tuesday, October 30th. Cost of the trip is $2.00. We will be taking a limited number of chaperones. If you are interested in joining room 104 please mark the permission slip chaperone box. I will be randomly selecting volunteer names on Thursday morning. Chaperones will be notified by email and backpack mail. All chaperones are required to have completed the online CPS volunteer screening process. We have much to celebrate this week in first grade. I’m so proud of everyone’s performance Friday. Room 104 shined on stage! Thank you to all of the families that were able to attend the live performance. It was great to talk with you after the show. Digital download purchase forms were sent home on Friday, please let me know if you need a new form. Thank you to the wonderful parents that helped us during our CAC unit. We couldn’t have done it without you! I am so appreciative of your support in the classroom and behind the scenes. THANK YOU!! Our regular classroom and reading schedules will resume Monday, October 26, 2018. 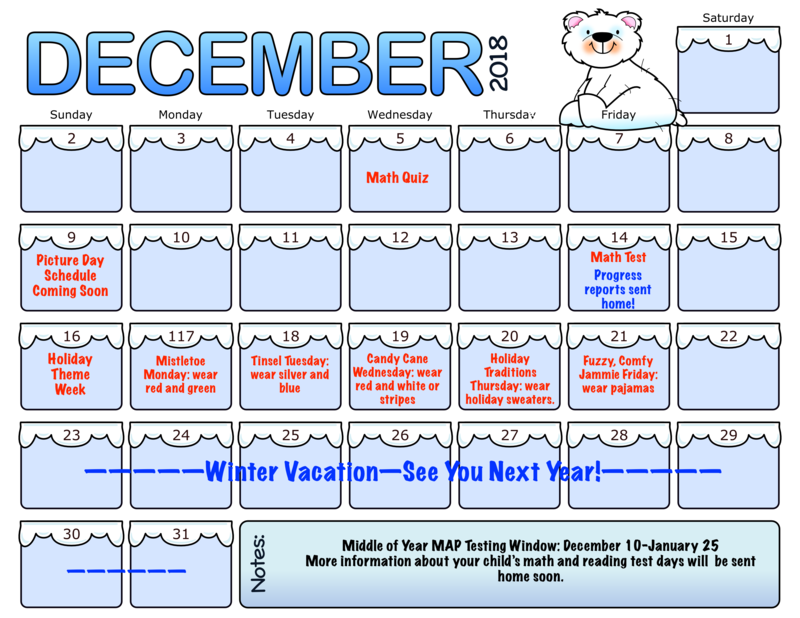 Thank you, families, for reading together and practicing math facts with your child every night. These daily routines build strong foundations for future learning. I look forward to seeing you again at our parent-teacher conference on November 14, 2018.